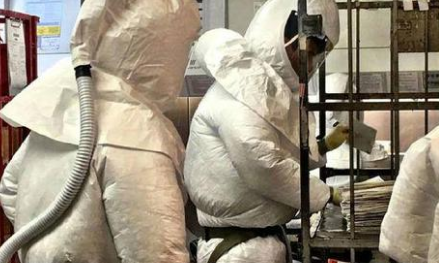 Initial field tests on two suspicious-looking envelopes addressed to the Pentagon suggested possible traces of the deadly poison known as ricin. They were stopped at a mail sorting facility separate from the Pentagon building addressed to Defense Secretary James Madison and the Chief of Naval Operations John Richardson. A similar letter was addressed to the White House but stopped well before it got there. Another was sent to the Houston campaign office of Senator Ted Cruz but tests there for anything hazardous turned up negative. Law enforcement officials say tonight they don't consider any of these letters to be dangerous and they say they are following some promising leads about where the letters may have come from.